It's really quite astounding that after nearly two hours in his relentlessly off-putting company we are not entirely put off by the insanely appropriately named Philip Lewis Friedman. Wait. That's the wrong lede. Apologies. Let me try this again. It's really quite astounding that after nearly two hours in the relentlessly off-putting company of its title character we are not entirely put off by "Listen Up Philip." Because we are most decidedly put off by the insanely appropriately named Philip Lewis Friedman himself, a Manhattan-based author whose Category 5 Hurricane of venom initially seems designed to regale us with just another philosophically violent anti-fable of so-called Tortured Genius. In the end, though, genius, real or imagined, is beside the point. This film isn't about a genius, it's about a jackass. A pair of them, in fact, and one noble soul who does not redeem the jackasses but gives reason for an otherwise exhausted audience to at last rejoice in the decency of humanity. Philip's instinct isn't to threaten when attacked, and it isn't even to threaten in case of being attacked - no, it's just to threaten. No, not even threaten. Threaten would suggest a reason to be scared of Philip and no one's scared of him, they're only tired. His instinct is to bloviate, and bloviate immediately upon entrance into any given room. He pin-pricks everyone else in order to prop himself up. He is narcissistic, yes, obviously, but that doesn't go far enough. He's almost a vessel for a modern-day re-telling of the Narkissos Myth. That Philip does not fall in love with his own reflection in the Central Park Pond and ultimately drown is probably only because that end would actually bring audience members to applause, and director/writer Alex Ross Perry is more intent to induce lameazoid laments of "But I just didn't care about this person" so he can laugh at them. 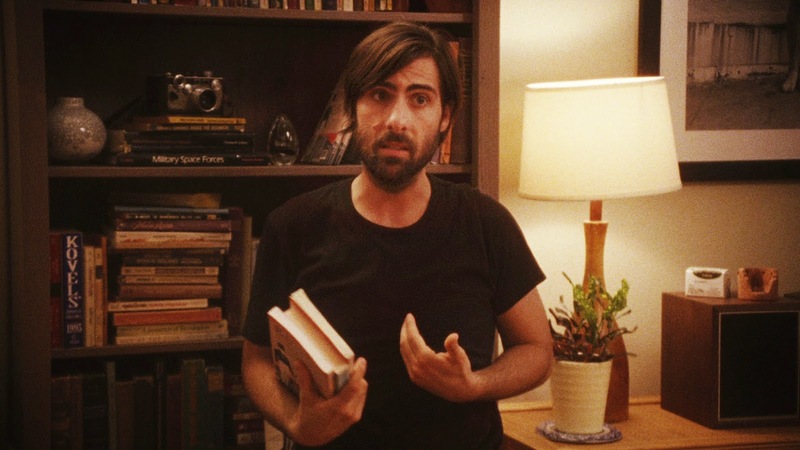 The off-putting protagonist is played by Jason Schwartzman, an actor who has never possessed the need to be "liked". Even in the "Big Eyes" trailer, the few seconds he appears on screen come with his patented disenchanted annunciation and perpetually miffed expression. He's not trying to sell you on this movie because he'd rather you just went the hell away. It's a litmus test of disdain. We are taught to demonstrate empathy, even toward hipster brutes, but "Listen Up Philip" strips us of all empathetic desire. We are left with disdain and, as such, the film cleverly, frighteningly puts us directly in the headspace of our protagonist by making us feel toward him the way he feels toward everyone else. His new novel is on the verge of being slammed by The New York Times, essentially a death knell, and so he retreats, taking up the invitation of novelist giant Ike Zimmerman (Jonathan Pryce) to come up to his country estate to write. "You'll need a country retreat if you want to get anything done," Ike explains. Except nothing much seems to get done at the country retreat except drinking and self-loathing. The manner in which these two feed each other's worst impulses threatens to turn "Listen Up Philip" into a full-blown literary horror movie. A sequence when Ike brings two women home and then banishes them when he becomes bored is excruciating. You half expect Ike's daughter (Krysten Ritter) who requisitely shows up to try and cut these two bloviators down a peg to lose her mind and pick up an axe as if Shelley Duvall turned the tables on Jack. So what prevents Philip Lewis Friedman's solipsism from symbolically strangling us? 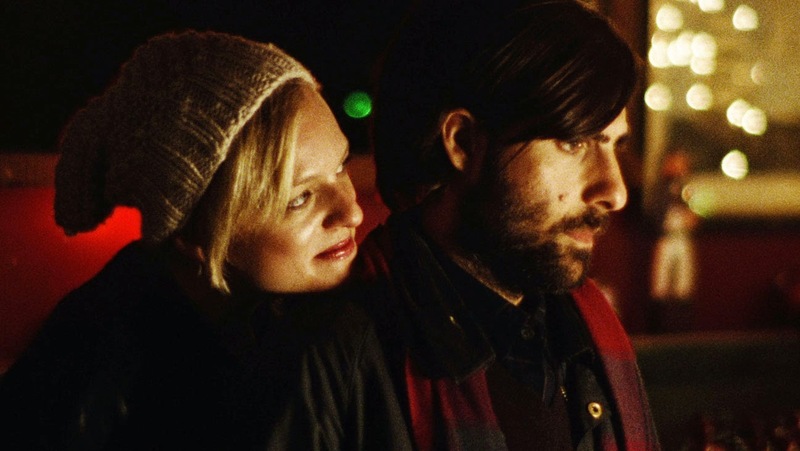 It is Perry's majestical decision to take a story of a selfish creative monster, one that would clearly lend itself to a solitary viewpoint that its main character would refuse to relinquish, and occasionally hand the narrative off instead to his persecuted significant other, Ashley Kane (Elisabeth Moss), an artist herself whose abilities her boyfriend ignores because, well, how many damn adjectives can I employ to describe his cavernous self-interest? Suddenly, however, just when it seems Philip might be pushing us too turn off the Blu Ray player or walk out of the theater, the point-of-view switches to Ashley, and rather than being forced to simply wallow on the sidelines and react to the blithering idiot of her life, she re-asserts her individuality and re-claims her own happiness. Then world is chock full of Philip Lewis Friedmans, sapping our sanity, unwittingly assailing our happiness, beating us down 'til all that remains is a carcass of emotion. Hell, he might as well be a more verbally dexterous metaphor for Twitter. And when Ashley casts him off into the musky dungeon of his own dialogue, we don't cheer the demise to which he doesn't even seem to grasp he's resigned, we cheer her self-recognition. It's so refreshing that Perry doesn't humanize Philip in a third-act revelation that changes our view of him. I love the point that some people in the world are just self-absorbed idiots. We rarely see a guy like Philip on screen. It's painful at times to watch him be so awful, but it still works on the whole. The sequence with Ashley also really helps.